Caldereta or Kaldereta is one of the most popular Pinoy cuisines that is served in every Filipino household especially during special occassions, parties and festivities. 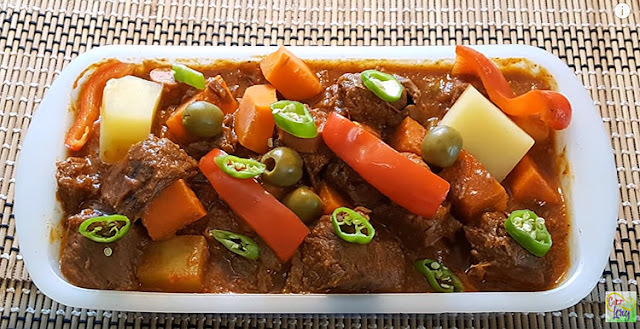 Caldereta can be prepared by using either pork, chicken beef or goat combined with potato, carrots, green olives, tomato sauce, etc. Here's a very delicious beef caldereta recipe shared by Chef Lery Poblete via Youtube.